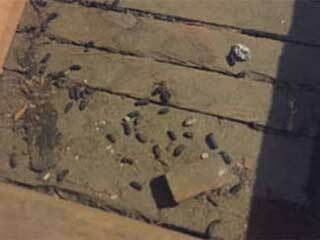 Home Our Attic Services Rodent Proofing Is There Non-Lethal Way To Get Rid Of Rodents? Rodents tend to prefer the attic and crawl space as their nesting space. Your attic insulation material is usually their preferred choice. If the area isn't air sealed, these furry little rascals will undoubtedly be able to venture inside and try and claim it as their own. Clearly, we can't have that. They need to leave. So how do we do that without killing them? Forget about the old DIY tricks of bucket & spoon or the bucket & paper clips that were once used to catch the sneaky little invaders. Today’s rodent control industry has developed new safe methods and tools to help remove rats and mice without killing or hurting them. Instead of using glue boards or poison, these critters can be caught alive. Doing this will also ensure that in case that another animal was caught by mistake, it could be released immediately without being harmed. It is important to use traps that are suitable and are unlikely to cause injury. In addition, the traps should be inspected often so that if an animal had been caught, it wouldn't have to suffer from water or food deprivation. There are a few types of humane traps in the market including single use and multi-use, ones made from wire mesh steel, tin and Polypropylene, and see-through and opaque ones. Each type has its pros and cons, so you if you have our professionals help you, you can rest assured that only the best suited traps will be used. Catching rodents without killing them is the first step in the removal process. After all, these critters need to find a new home. Releasing them into your or a neighbor’s backyard is pointless, as they will remember the location of their nest from a distance and will easily return. The cage needs to be taken to an unfamiliar environment that is at least a few miles away from your house, and approved by the Glendale in case that there are regulations or bylaws regarding the release of rodents. The most humane way to get rid of rodents is to not have them in your house at all! To protect your family from the risks that mice and rats can bring, such as disease and filth, you need to make sure all possible access points are sealed. You should cover your food and store it in airtight containers, and keep your trash covered and don't neglect to take it out when you need to. Of course, the best way to prevent the infestation of rats or mice is professional rodent proofing. Our experts at Attic Cleaning Glendale will be happy to help. Call us today.